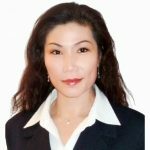 Juliana Ho was a former senior trading representative in Hong Kong prior moving to Vancouver. She carried her extensive background of real estate experience and knowledge to her current profession. She continued to conduct her real estate business in Vancouver with great passion and courage striving to provide an outstanding level of service for her clients at all times. Also, while Juliana emphasizes on integrity, hard work, and attention to detail, her dedication has resulted in receiving numerous referrals and recognition from her previous clients. Juliana attributes her success to her vast marketing and advertising strategies. More importantly, she is creative and thoughtful about the essence of time and tactic of selling. Due to her active and engaging personality, she is sought by many developers to sell multi-unit projects. Whether a client is buying or selling, she will place the values and concerns of her clients as a priority while promoting their best interests. Furthermore, Juliana achieved the Top One Percent of All Realtor Award in 2013, Master Medallion Club Award in the Real Estate Board of Greater Vancouver, and the Chairman and President Club Award of Royal Pacific Realty. Juliana has been an area resident since 1995 and she recognizes the unique characteristics and benefits of living and working in Vancouver. More importantly, Juliana has made a high level of commitment in education which she acquired a diploma in Business and Management. In addition, she is a Seniors Real Estate Specialist® (SRES®) Designation through the National Association of REALTORS® (NAR). In her free time, Juliana enjoys reading, swimming and hiking as she truly embraces the concept of having an active and healthy lifestyle which empowers her to combat her daily tasks.